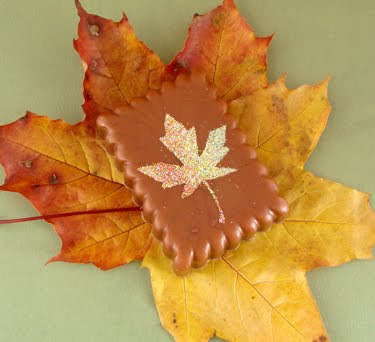 Want to learn to make this Autumnal glittery soap? Then sign-up for the Bramble Berry newsletter now! This delightful project is the main feature of our soon to be sent email newsletter. To sign-up click on this link and fill out the brief form. Once you sign-up you will receive an email that you must respond to before you are officially subscribed to our newsletter. This is called a ‘double Opt-in’ and all it does is make extra sure that you really do want to receive our email – because we would never want to send our email to someone who didn’t really want it! Then be dazzled when you open your email tomorrow morning. If you’re already subscribed, look for the email in the wee hours of the morning. Just like presents under the tree, it should be waiting for you when you wake up. Great idea! Wonderful idea! We are totally on this … probably closer to November 'on it' but it's a wonderful idea. I get the newsletter fine on my Yahoo account, actually. So I was looking at the buried alive soap from last year. the tutorial from Soapylove. And I got to thinking. It would be cool if, at the start of each season or holiday (fall, winter, valentines day, spring, etc) you had a post with old tutorials from that theme. Just a thought. and I LOVE the soap in the newsletter, I was reading it over today. I need to get those soapylove molds! If you just email me your email address, I'll forward the newsletter from my email so you can have it. Very pretty soap. Can't wait to get my newsletter. WOW that looks great!! I can't wait for it!! that is the prettiest fall thing I have seen! love it! omg the sidebar is showing this cool soapylove project! meanwhile back at the camp, my brain has completely shut down. i got a huge retail order yesterday; right before a huge show where i need to look very "togetha" if you know what i mean. with another retail order on hold and little ones dribbling in here and there. my kitchen is a mess and i am too tired to clean it. an expensive silicone mold broke like a bad episiotomy (someone fill in Anne-Marie on this one) and it's raining outside. my poor old dog that inhabits my front door mat keeps relieving himself right there, and suddenly my office smells like……sorry……yup….dog poop. OO!O!O! Is it tomorrow yet??!! I can't wait to see this one!! Can't wait to wake up tomorrow morning! Wow! This is gorgeous! I can't wait to get the newsletter tomorrow!